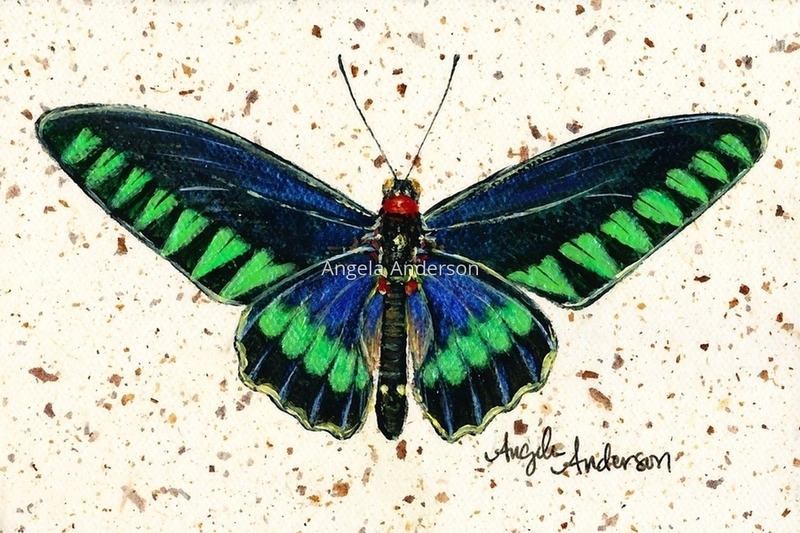 Original acrylic painting of a trogonoptera trojana birdwing butterfly on gallery-wrapped canvas. Interference paints add subtle shimmer. Textured tissue paper gives the background added interest. 5" x 7.5"6" x 9"7" x 10.5"7.75" x 11.625"